QUIET! (Not Clarke Road) Get back to nature. Rarely available! A very tranquil setting backing onto a lovely greenbelt with the level portion of the back yard extending well past your property line. You'll love it! Spacious 3 bedroom mainwith entertaining sized living & dining rooms. Ground level fully finished basement. Two cozy w/b fireplaces. Enjoy year round your 385 sq. ft. wrap around covered sundeck off the kitchen. A solid & clean home ready to be spruced up with fresh paint, new flooring & bathroom remodelling. A nice chance to have the colours & finishing that you want. Potential in the O.C.P. for 3 storey multi-family. 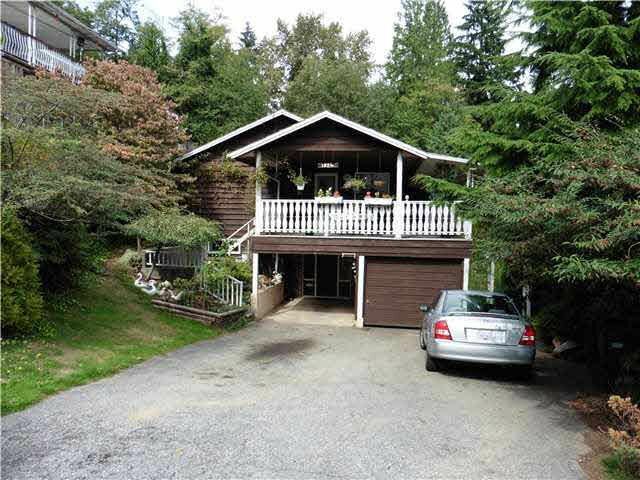 Very convenient location with easy access to North Rd., Barnet Hwy. & Skytrain. Super opportunity!